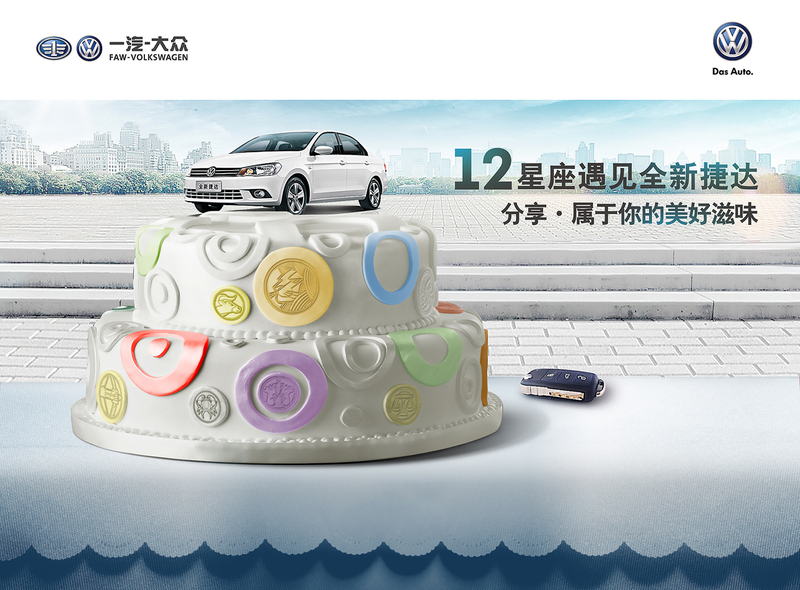 FAW – Volkswagen Jetta active recruitment ‘Cake' episodeWORK - Beijing Daoyuan Advertising Co., Ltd. The creativity is to create an FAW – Volkswagen Jetta active recruitment event. The creative starting point is the better life for the ’12 constellations’ after they meet the all-new Jetta, highlighting the recruitment information.